Orphek has broken through the ceiling of complexity with their new DIP XP series. 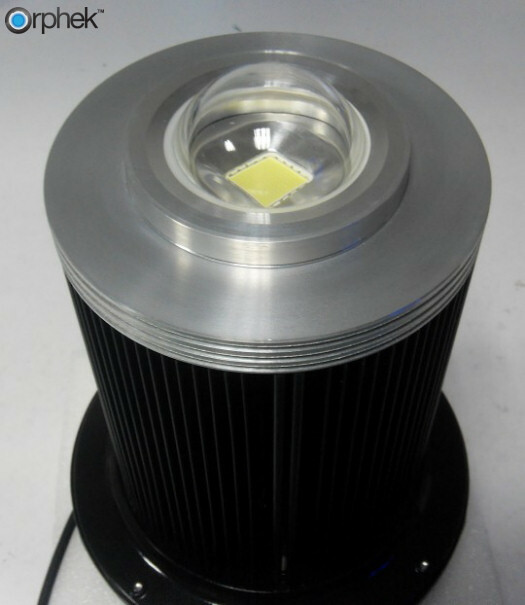 They have developed a true LED replacement for metal halide lights. 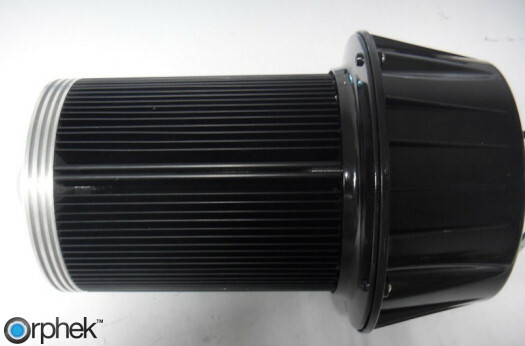 Orphek’s research and development team was tasked with the problem of low lumens per watt when using blue LEDs. 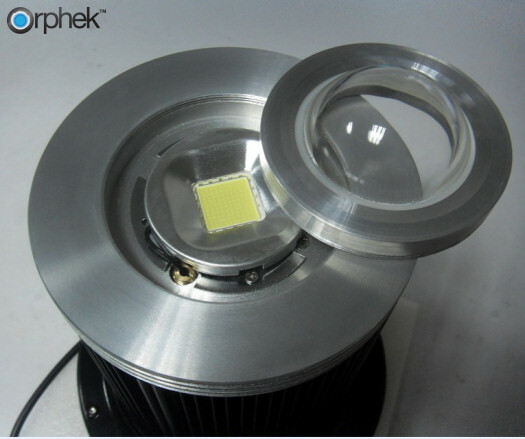 Orphek is about to release the first daylight multichip LED pendant available in 16K, 18K 20K and 25K color temperatures with out the use of blue LEDs. The DIP Pendant Series will be available in combinations suitable for all sizes of aquariums. Utilizing 100 watt, 50 watt and 30 watt fixtures combined with four varying choices in lenses; 45 degree, 60 degree, 90 degree and 120 degree. The wattage and lens combination makes these LED pendants suitable for shallow aquariums in the 24” range to very deep aquariums maxing out at 72”. Yes, you read that correctly, 6 feet deep! 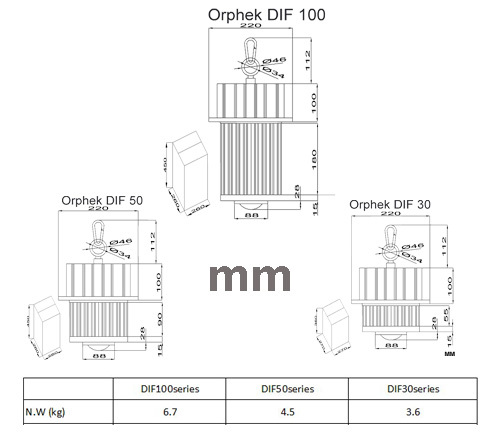 DIF-100 – fixture replaces a 400w fixture. DIF-50 – fixture replaces a 250w fixture. DIF-30 – fixture replaces a 150w fixture. It’s easy to change between 45,60,90 and 120 degree lens. DIF 100/50/30 appear similar to a 18000k halide bulb. 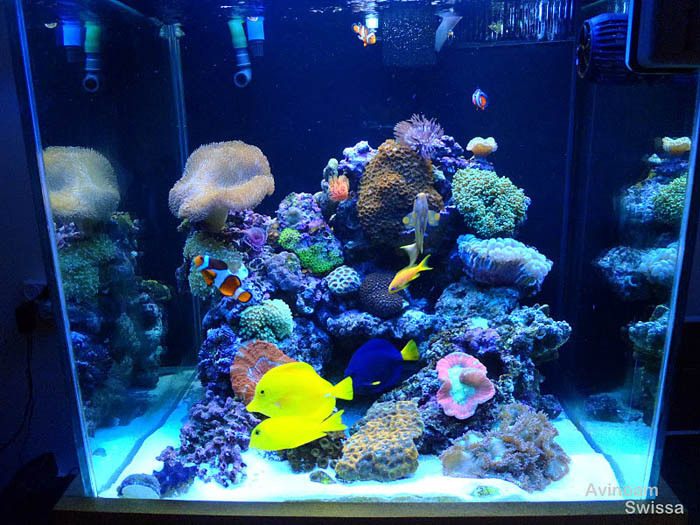 The versatility of changing the lens, coupled with the various color options make the DIP XP series from Orphek a very nice choice for anyone looking at this type of LED aquarium lighting.